Our History Flows Through These Waters. Livingston Boat Dock was one of the “old-time” docks on Dale Hollow Lake, having been around since the 1950s. 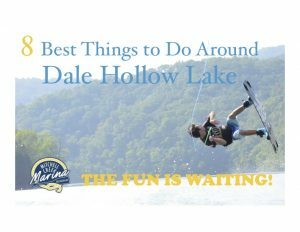 Dale Hollow Lake may have been formed for flood control and hydroelectric power, but a few years after its impoundment, privately owned marinas began to dot the shoreline surrounding Dale Hollow Lake, attracting families and fishermen. Livingston Boat Dock quickly became a popular hotspot, serving the area of the lake between Celina and Livingston. In 2006, the dock was sold at auction to the late Doug Smith, and Mitchell Creek Marina & Resort was born. Doug’s family operated the marina until 2018. Since 2006 Mitchell Creek Marina & Resort has grown to include five new docks, parking lots and a completely new infrastructure. We are very proud of our family-friendly amenities, including an expansive game room, bumper boats, splash pad, volleyball courts as well as our iconic “steamboat” that houses our marina store and a restaurant. 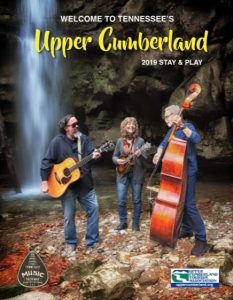 In 2018 Mitchell Creek Marina was acquired by CTP Mitchell Creek LLC. We are always looking toward the future and as more families choose to create memories at our resort we continue to grow. Mitchell Creek’s sister property, The Point, is a private, gated community located “just around the corner” via water, and just a few minutes away by land.